Weight 86lbs. 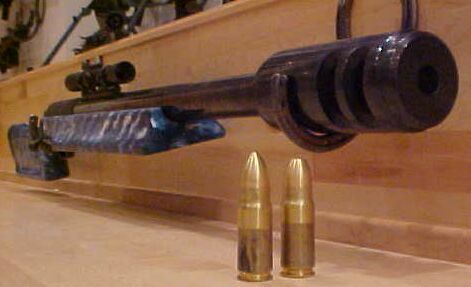 Now here is a rifle specially built for rabbit hunting. Better lean into this one if you don't want to end up on your back with 86lbs of gun on top of you. This is pegged as the largest hand held weapon in the world.